Highlighted sponsors at the event: Halo Smile, Dukes Wealth Management, ThinkAlkaline, The Airhook, TLC Health and Wellness, Warriors Legacy Alliance, and Glendale Adventist Academy. 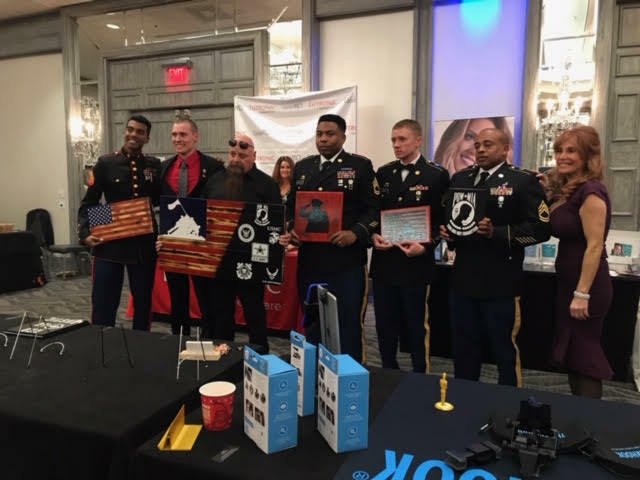 LOS ANGELES, CA, March 01, 2019 /24-7PressRelease/ — On February 23rd, 2019, many celebrities and Hollywood luminaries came together to celebrate veterans and the service they provide to our country at the annual Suzanne DeLaurentiis Pre-Oscar Gifting Suite held at the luxurious Intercontinental Hotel in Century City. Additional sponsors and vendors included: Deanna Hodge’s mermaid blankets, My Delight Cupcakery, Cake and Art, VitaQuest Skincare, Psychic Dean McMurray, Wally Park, Brinnae’s Beauty Bar, Perfectly Posh, Simply Charizma, Red Oak Rustic, Phoebe Peacock, Lutronic, Cremo, To Go Spa, Lynne Curtain Jewelry, KYLA Kombucha, VRY Vitamins, Louise Sandy Cakes, Dolce Vida Tequila, and Flackers Crackers. Gift bag sponsors: True Serenity Tea, Joy Johnson, Lov Luv, Sweet Cheeks Organics, Xclusive Remy, Go Viter, Suja Water, Pico Athletic Club, Health Guardians, Savory Fine Foods, Kiehls, Qan, ZZZ Bears, Macro Bars, and Yogavated. Empty Vase provided the flower arrangements for the venue. Veterans, celebrities, sponsors, and guests were treated to Halo Smile Treatments, walked the red carpet, were interviewed by many media outlets, enjoyed a three-course Italian-inspired buffet, and a multitude of lavish desserts provided by Louise Sandy Cakes, My Delight Cupcakery, and Cake and Art.